The comfortable city hotel offers 6 floors with a total of 300 rooms. Facilities include a foyer with a 24-hour reception desk, lifts and a bar. The 3 meeting rooms are fitted with video projector, overhead projector, microphones and loudspeakers. The bar offers a welcoming and peaceful atmosphere where guests can relax in style after a day in the city. Each of the pleasant rooms comes with an en suite bathroom, a minibar, a direct dial telephone and air conditioning. 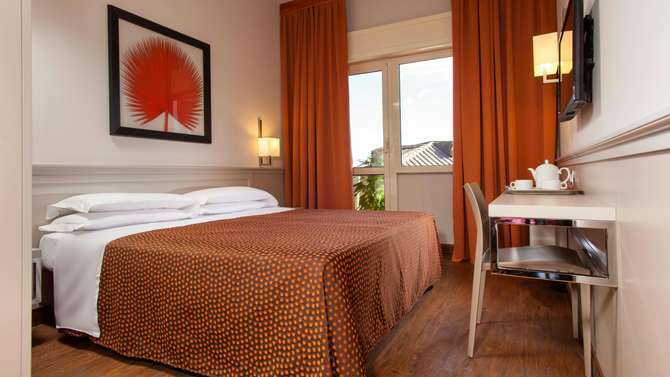 All 300 rooms have been recently refurbished, all with satellite TV, hairdryer and electronic safe.